How To Make a Fall Wreath With Pumpkins! 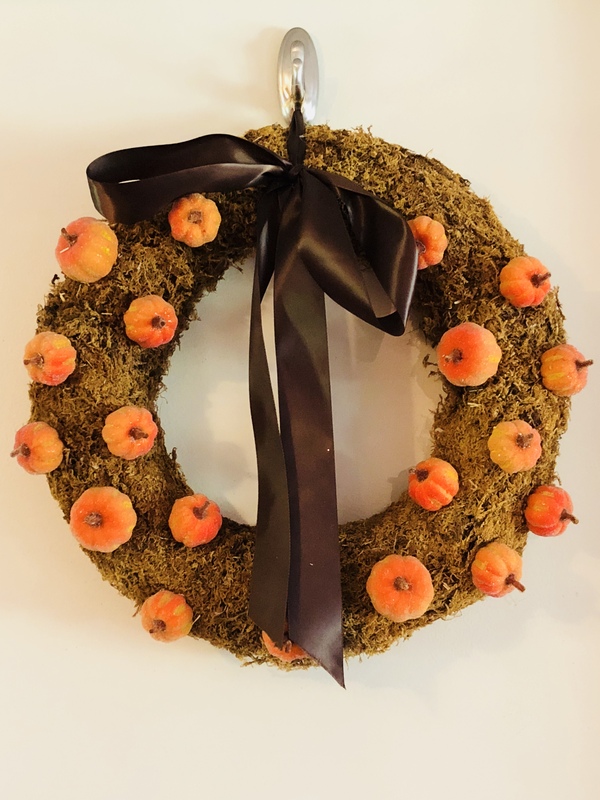 Are you trying to find out how to make a fall wreath? Are you looking for something that will not only look great in your home but that is easy to make? 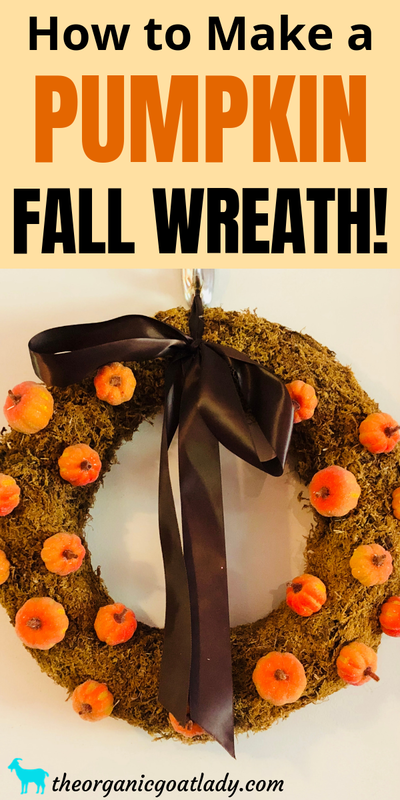 Then this fall wreath is exactly what you need! I absolutely love fall! I mean who doesn’t?! Pumpkin spice, pumpkin pie, crisp fall weather, and of course fall decorations! I love fall wreaths! So much so that I also made the Fall Burlap Wreath in addition to this one! Today’s wreath that I’m going to show you how to make is the Fall Pumpkin Wreath! I love these adorable little mini pumpkins! Once you have gathered all of you materials you’re ready to start assembling your wreath! First, using your hot glue, you’re going to glue pieces of moss to your straw wreath form. Completely cover the front and sides of the wreath. You don’t have to add moss to the backside as it will be hidden. 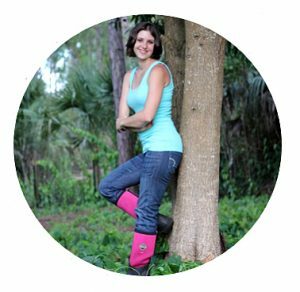 However just be sure that the moss wraps far enough around so that the form isn’t visible. Next you’re going to hot glue on your mini pumpkins! Position them evenly spaced around the wreath. It might be helpful to position the pumpkins before you glue them so you can make sure that they are evenly spaced. Next tie your ribbon around the top of the wreath and tie it in a big bow. Now you’re ready to hang your wreath! I made two of these wreaths so that I could hang them on my French doors:) I put one on each door and it looks so pretty and festive! And that’s it! You now have a beautiful fall pumpkin wreath! Wasn’t that easy? !